A view of Northey Street City Farm's organic markets from the plant nursery. Author image. Upcycling is the gentle art of transforming and repurposing waste products into something deliciously new, different and altogether wonderful - or, as Susie Riggall, Northey Street City Farm's market coordinator, puts it: 'Turning old into gold'. 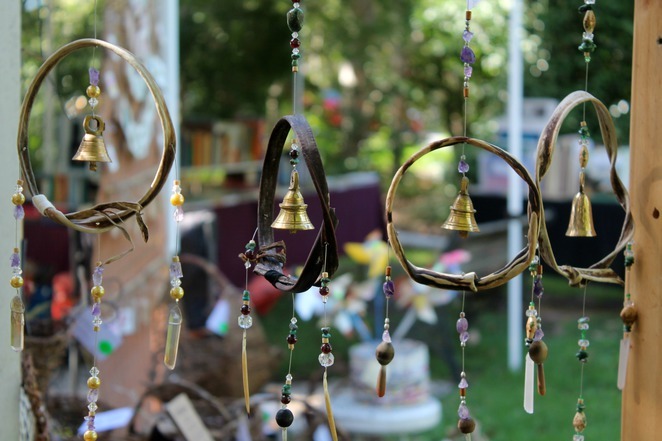 The City Farm Upcycle Project is a new monthly event held within the lush, fertile grounds of Northey Street City Farm. It showcases the creative talents of those who transform or reinvent old or unloved items, giving them a new lease on life. 'This market supports the farm's vision of all of us living sustainably (and) is the ultimate in recycling,' says Riggall. We were tempted by so many items on the day we visited. Beautiful Medicine has a range of medicine wheels which recycle nature's gifts - such as feathers, shells, crystals and semi-precious stones. 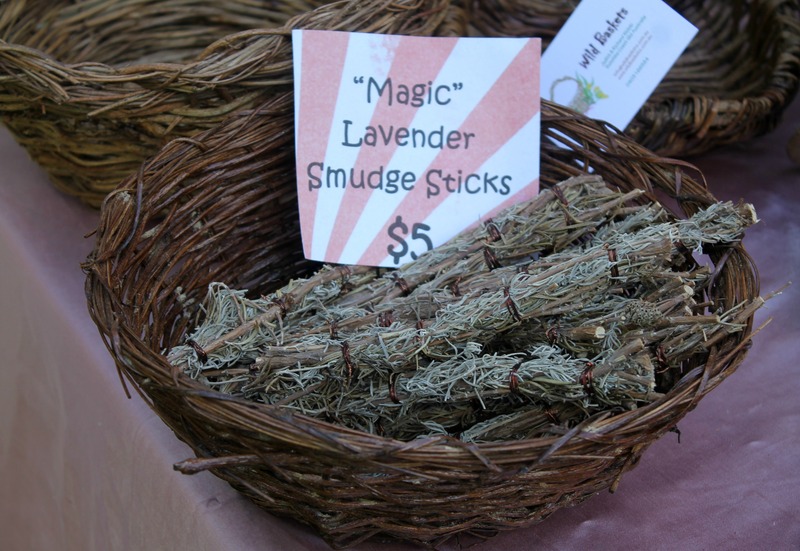 They also offer stunning seaweed lampshades, handmade incense holders, mandalas, and red cedar runes. Smudge sticks inside one of Wild Baskets' woven treasures. Author image. Also worth checking out are the baskets handwoven from weeds by Wild Baskets' Judith and Richard Wolski. 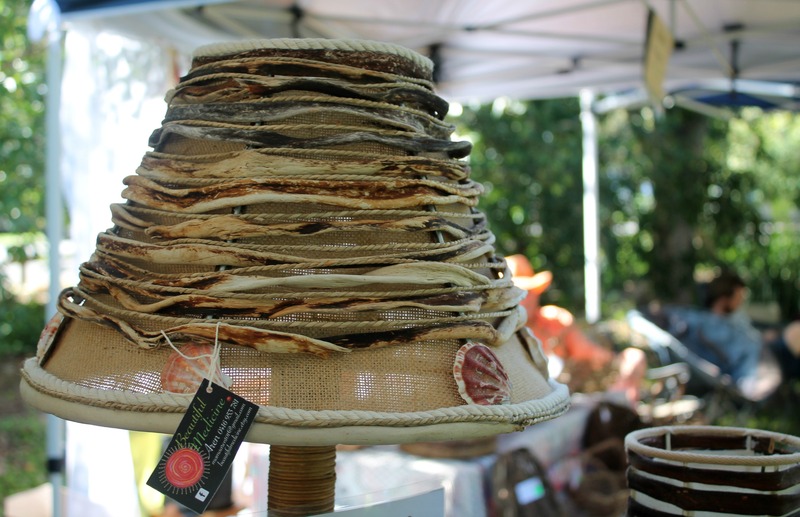 Committed to protecting their patch of native bush on the Sunshine Coast, the couple discovered that invasive vine weeds were the perfect raw material with which to weave their range of artistic baskets, homewares, installations and sculptures. Judith says the local council now contacts her whenever they're conducting some environmental clean-ups - making it a win-win all round. Seaweed lampshades by Beautiful Medicine. Author image. Other stall holders include Elements of Brazil with their modern and sustainable accessories made from recycled coffee capsules. 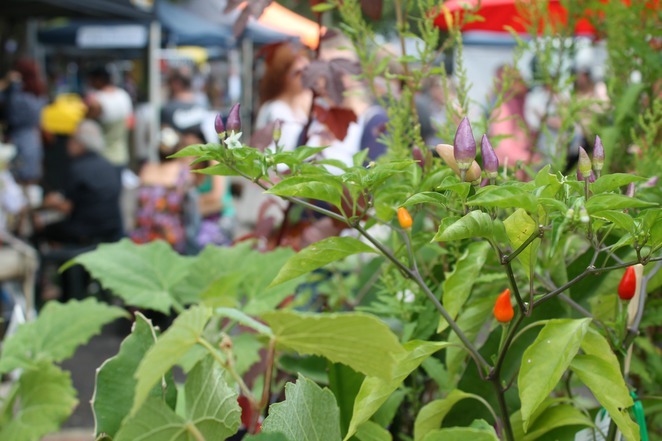 And if you've worked up a hunger or a thirst after all that browsing, the good news is that Northey Street City Farm's organic markets, which take place every Sunday, will be humming alongside. There are food stalls, as well as organic fruit and vegetable sellers, so you can even get a jump on your weekly shopping. Ice cream for breakfast. Author image. The atmosphere here is ultra-chilled and if you'd like to ramp up the relaxation factor even further, there are onsite healers with expertise in a range of modalities from massage to moxibustion. 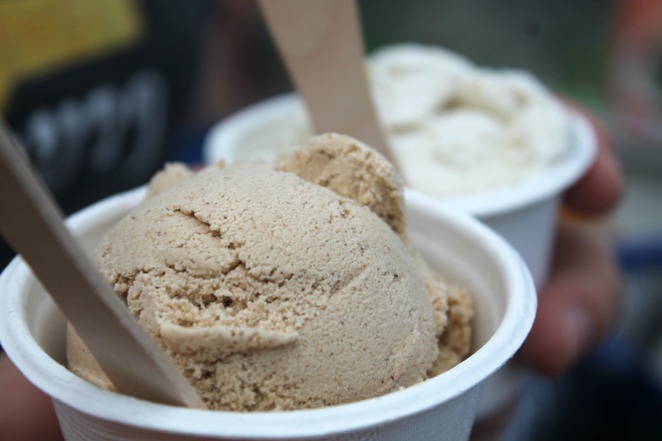 But we simply stopped for creamy, nourishing, immune-boosting turmeric lattes at Love Organic Living and sampled some coconut ice cream from CocoHolics while listening to live music. You can't do it all in one day.